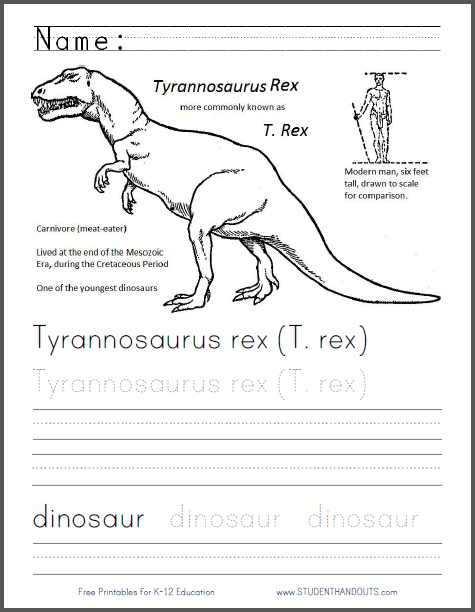 Kids learn about the Tyrannosaurus rex as they color and work on their handwriting and spelling. Great for kids who are learning about Earth's geological history, or for those who simply like dinosaurs. Click here to print this page.